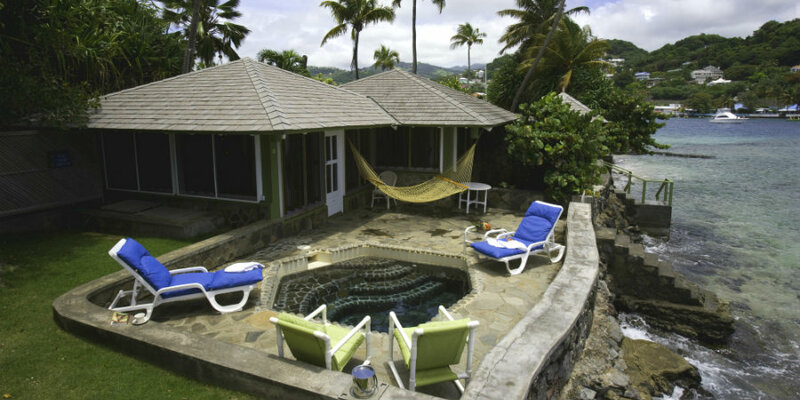 For the ultimate in luxury and seclusion on your next Caribbean holiday, opt for a room with a private pool! 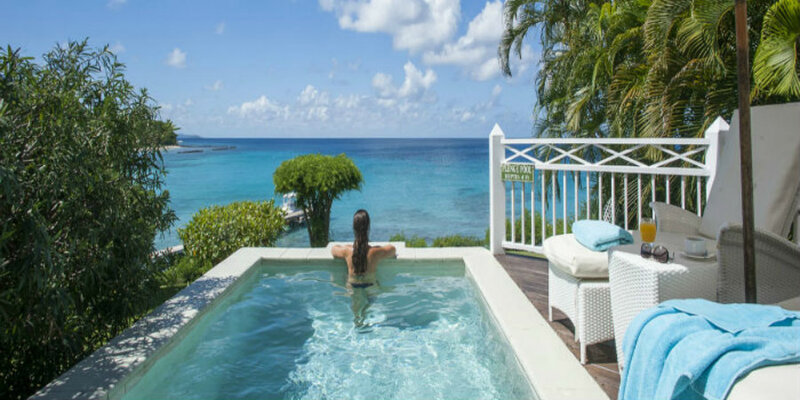 See below some of our favourite resorts across the Caribbean islands where guests can relax by their own plunge pool, often while taking in spectacular views of the sea. Call us on 01752 880 880 or email [email protected] to discuss your next tropical holiday! The Cotton House is the only hotel on the exclusive island of Mustique, renowned to be one of the Caribbean’s leading luxury resorts. Deluxe Sea View Rooms boast a furnished veranda with a private plunge pool with views out to sea, while Deluxe Suites offer a private plunge pool overlooking the gardens. Prices: 7 nights from £2770 per person sharing a Deluxe Seaview Room with Plunge Pool. Sample price includes flights, transfers and bed & breakfast. 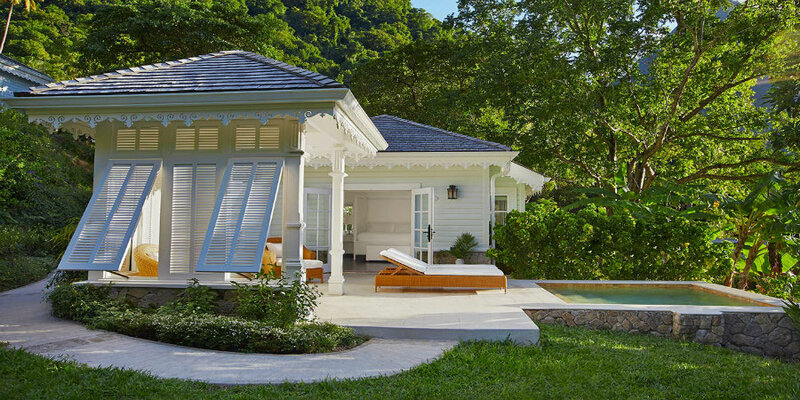 Set between the spectacular Piton Mountains, Sugar Beach offers exclusive accommodation for discerning guests. Accommodation is in elegant yet contemporary suites, villas and bungalows, with even the most basic room types offering a private walled garden, outdoor plunge pool and personalised butler service. Prices: 7 nights from £2425 per person sharing a Luxury Cottage. Sample price includes flights, transfers and bed & breakfast. Cocobay is an adults-only all-inclusive resort in Antigua, nestled into the hillside overlooking a beautiful white sand beach. The breath-taking views over turquoise seas are a particular highlight, best enjoyed from the private plunge pool in the Premium Waterfront Suite. Prices: 7 nights from £2620 per person sharing a Premium Waterfront Suite. Sample price includes flights, transfers and all-inclusive. 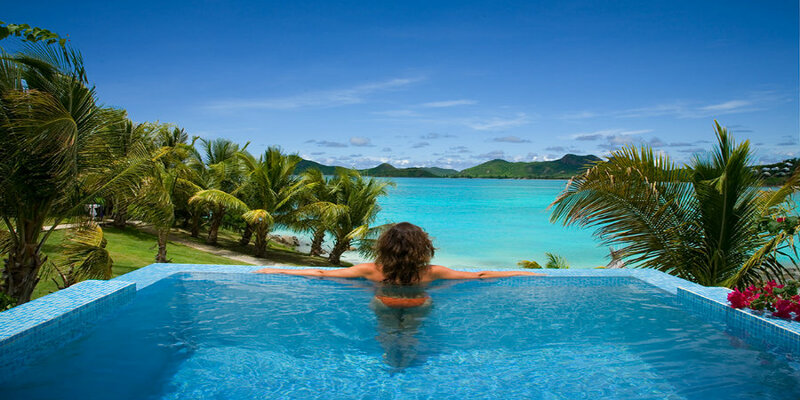 Young Island is an all-inclusive, private island resort in the Grenadines with a traditional feel and excellent service. 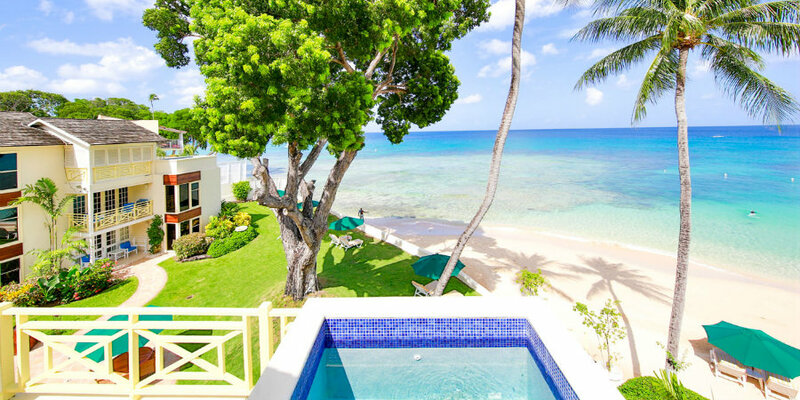 Cottages are located on the beach level or up the hillside, with Luxury Rooms offering a private plunge pool either overlooking the water or boasting stunning views out to sea or towards St Vincent. Prices: 7 nights from £2635 per person sharing a Luxury Room with Plunge Pool. Sample price includes flights, transfers and all-inclusive. 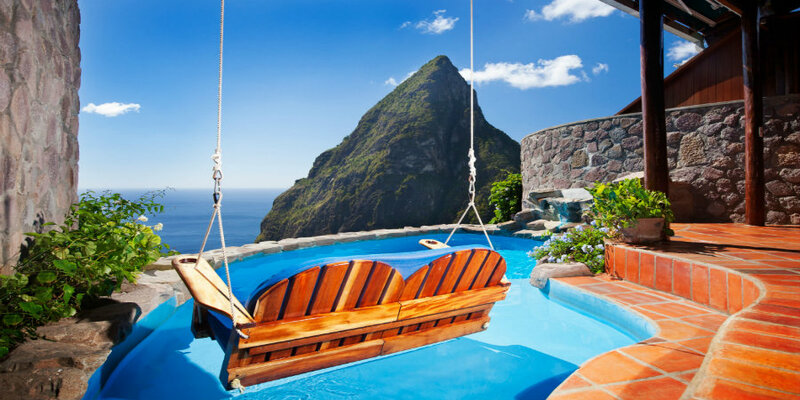 Ladera is a luxurious adults-only resort in the south of St Lucia, set on a hillside with beautiful views towards the Pitons and the Caribbean Sea. Suites are located along a ridge, each missing a wall for the ultimate ‘outside in’ experience with a private plunge pool and amenities including binoculars and a star chart. Prices: 7 nights from £2650 per person sharing a Gros Piton Suite with Plunge Pool or from £3525 per person sharing a Hilltop Dream Suite. Sample price includes flights, transfers and bed & breakfast. 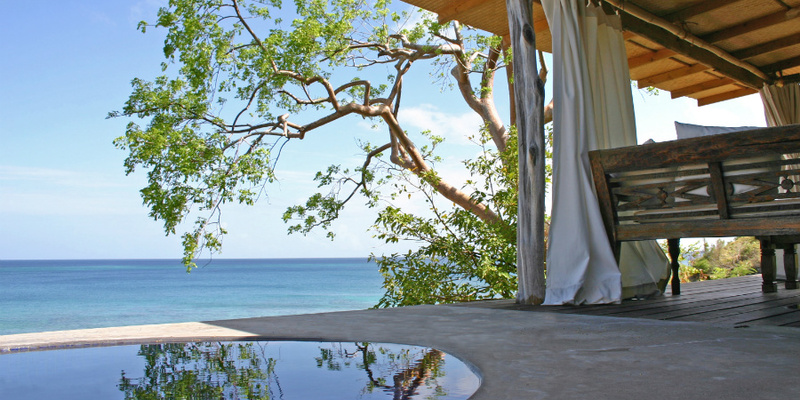 Laluna is a romantic escape set on a hillside overlooking one of Grenada’s most secluded, white sand beaches. Cottages blend Balinese, Italian and Caribbean styles, each with a private plunge pool to make the most of the ocean views and fabulous sunsets. Prices: 7 nights from £2015 per person sharing a Cottage Suite. Sample price includes flights, transfers and bed & breakfast. Treasure Beach by Elegant Hotels is a recently redesigned, adults-only boutique hotel set beside a glorious stretch of white sand beach. 35 suites are set within tropical gardens surrounding the main swimming pool, with the most luxurious suites boasting a private plunge pool overlooking the Caribbean Sea. Prices: 7 nights from £1875 per person sharing a Deluxe One Bedroom Suite or from £2250 per person sharing a Luxury Ocean View One Bedroom Suite. Sample price includes flights, transfers and bed & breakfast. Sample prices are based on two people sharing the room type mentioned including flights and transfers as well as current special offers (as of 21 March 2019). Prices are a guide only, contact us for a tailor made quotation. Call us on 01752 880 880 or email [email protected] to discuss your next holiday to the Caribbean – all our holidays are tailor-made so we can put together a suggestion including the best flights and hotels for you. We offer fully bonded and protected holidays, whether booked with flights via our ATOL 5615 or for accommodation only holidays with our ABTA Y5401. This means you can rest assured that your Tropic Breeze holiday is safe and secure.